Hurry over to Amazon.com where you can score this Fitbit Charge 2 Heart Rate + Fitness Wristband in teal (size large only) for just $79.99 shipped (Retail $149.95). 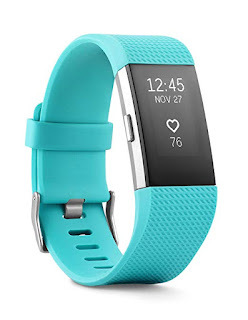 The Fitbit Charge 2 keeps track of your heart rate, sleep cycles, steps and even has workout programs on it. Sync with friends and challenge each other to do more.